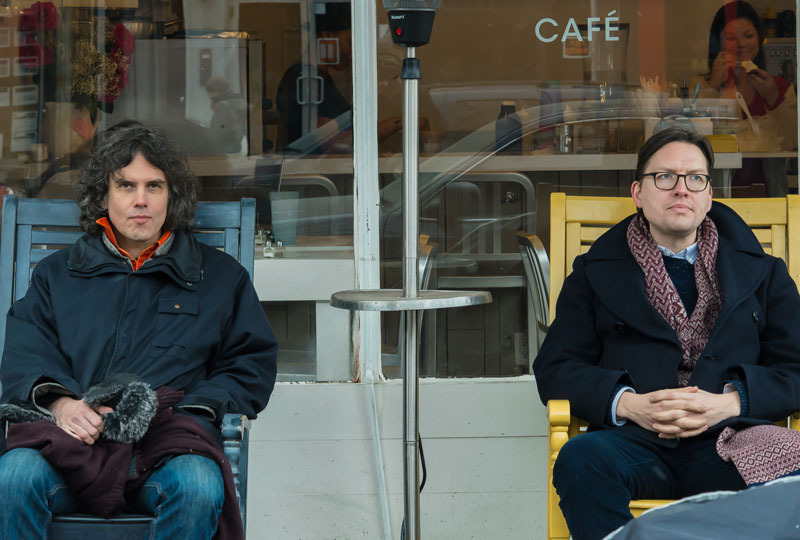 Musical Ecologies continues Thursday March 12th with the Brooklyn-based saxophone and percussion duo of Chris Mannigan and Danny Tunick. Joined by guest pianist and composer Drew Krause, the duo will present a program of duos and trios, including works they have recently commissioned by composers Rich Woodson, Dan Joseph and Drew Krause, as well as a rare performance of A Shrub by the Japanese composer Jo Kondo. The evening will include World Premieres of Woodson’s Trio for Marimba, Sax, Piano, and Taped Percussion (2015) and Joseph’s Underground Suite (2014), as well as an encore performance of Krause’s Force of Habit (2011). Chris Mannigan was born in Watertown, NY. He studied saxophone performance with Ronald Caravan, Joe Riposo, and Brian Scherer and composition with Christopher Hopkins, Joseph Downing, Daniel Strong Godfrey & Andrew Waggoner. He has appeared as a soloist with the Syracuse University Orchestra, and with a wide range of chamber ensembles and has recorded for the Arabesque, SUR and Between the Lines record labels. As a composer he has written extensively for stage, studio, film and theater. Percussionist Danny Tunick has staked out his tent on the outer fringes of the classical/rock/experimental music scenes, as well as in the direct center of those same scenes, for more than 30 years. His performances can be heard on over 30 record labels, and he has worked with well over 30 groups as a conductor/performer in the dance, theater, film, and music worlds. He has performed with Merge and Flying Nun recording artists The Mad Scene, the Tzadik and Important Records recording artist Barbez, Arnold Dreyblatt's Orchestra of Excited Strings, and Elliott Sharp's Carbon Orchestra. He has conducted or premeired works by the likes of Pierre Boulez and Charles Wourinen. His most recent recording is “All of It and Nothing,” a solo album by Hamish Kilgour, founding member of legendary New Zealand band The Clean. Pianist/composer Drew Krause has composed music using computer algorithms for over 20 years. He lives in New York City, where he is on the music faculty of New York University. As a pianist, he has played a wide variety of contemporary music. Comments closed — Trackbacks closed RSS 2.0 feed for these comments This entry (permalink) was posted on Thursday, February 19, 2015, at 4:58 pm by Dan Joseph. Filed in press release.